This holiday season don't forget your four legged friends! I never can my pets are just like my kids another member of the family. They get a stocking every year stocked full of treats and toys. 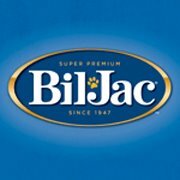 Bil-Jac is one my pets favorites! Join the Best Friends club here sponsored by Bil-Jac and get a wonderful newsletter filled with dog care tips, information on nutrition, training tips, members-only discounts, inspiring stories, fun facts and more. Opie got to try the Dessert Jacs from Bil-Jac you can get yours by using the store locater here. The Dessert Jacs are Caramel Apple flavor and are super soft and chewy. They make the perfect treat. Bil-Jac's little jacs. They are especially formulated for smaller dogs. Opie is a Mini Schnauzer so he loves these. Bil-Jac wants to give on lucky Free For All follower a chance to win 2 packs of Bil-Jac Dessert Jacs also. I'd like to try their small breed puppy food for my dog. My dogs would like the breakfast jacs.